I had assumed that the WAR file would include all dependencies but I am guessing that probably this is not the case. If anyone is experienced, is this what has happened? If anyone out there is aware, is there a way to tell Eclipse to do this? Otherwise, what is my option? I am not a Java dev and so I would not know how to install JDBC if needed. 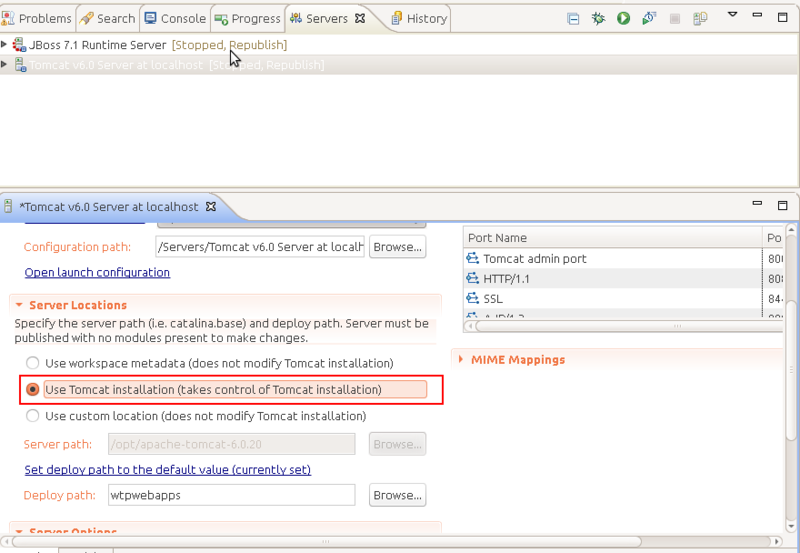 You don't need to do the "Export WAR > copy to tomcat > start tomcat" manually, you could configure eclipse to do the deploy directly in your tomcat installation, firts double click tomcat server, and then select "Use tomcat installation" in the "Server Locations" section. Make sure that your application contains the SQLServer JDBC driver (sqljdbc4.jar) in your project WebContent/WEB-INF/lib directory (assuming your coworker used the Eclipse "Dynamic Web Project" for the project layout), if not, download from here, unzip and copy it to the mentioned folder, the next time you start tomcat, it will automatically add it for you. Go to Microsoft JDBC Driver download page and download the JDBC driver and install it to a location. Open the .war file using a zip utility like 7-zip or winzip. Copy the sqljdbc.jar from the sqljdb_4.0/enu directory where you installed the downloaded JDBC driver and paste it in WEB-INF/lib of the extracted war file. Zip it back as .war file and deploy it again. This will get the application running. If you want to fix this permanently, then you should add the stop to include sqljdbc.jar to your WEB-INF/lib while building war file, in your build system, i.e. in build.xml if you are using ANT or in your Maven's pom.xml under dependencies section for this particular dependency. How to secure the war file deployed in tomcat server?